" ..... my father became ..... the wine merchant of the family. 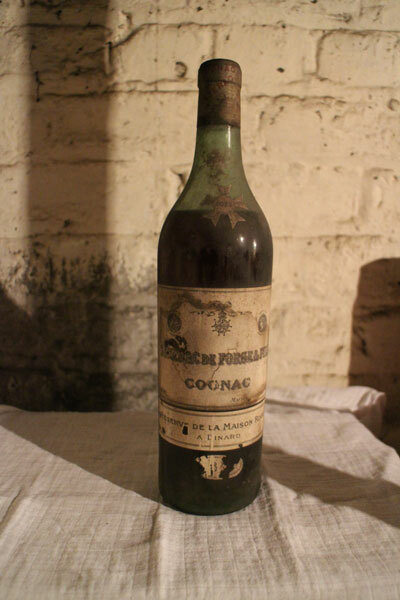 in the world, instead of becoming a poultryman and grocer"
One of the oldest cognacs to be found, this is from the historic Sazerac de Forge et Fils house, which produced the cognac used in the creation of the first Sazerac cocktail in New Orleans in the middle of the 19th century. Such a bottle has a value of around £6,500 in 2015.
days, flanking a bottle of his home made nectarine gin. 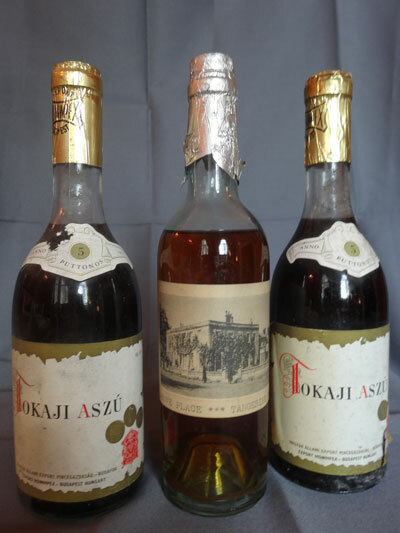 Tokay had a special place in DW's novels. It is not known if the gin is still drinkable.